This MP3 file is from the album Purple, black & blues / Elena Kats-Chernin ; Lisa Moore: piano. Duration: 3 mins, 38 sec. Recorded/performed at: Studio 200, ABC Sydney, on Feb 99. 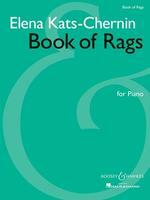 Score: Book of rags for piano / Elena Kats-Chernin. CD: [Selected works] / Elena Kats-Chernin. 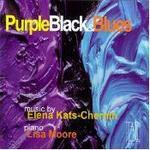 CD: Purple, black & blues / Elena Kats-Chernin ; Lisa Moore: piano.